I'm an artist, designer, programmer, and mechanical engineer. Originally from Osaka, Japan, I am now based in the Bay Area, focusing on creating immersive experiences for augmented, mixed, and virtual reality. My current focus is designing [and removing] interfaces that connect people with technology both in the physical and digital worlds. Bloom, for example, uses geometric logic to create an intimate pavilion using an interlocking collapsible frame whereas digiPop's virtual bubbles connect our physical and digital spaces through sound. 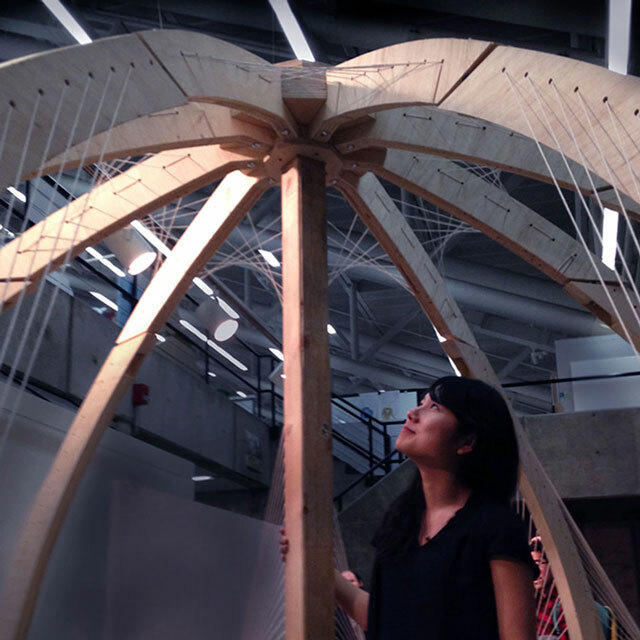 I'm passionate about kinetic sculptures, human-computer interactions, sustainability, and designs that seamlessly integrate technological efficiency with aesthetics while working across scales ranging from architectural installations to hand-held objects. I'm currently a UX Engineer at Google's AR/VR team. I received both my Master of Science degree in Architecture  and Bachelor of Science in Mechanical Engineering  along with minors in Management and Economics from MIT followed by a four year stint at a hedge fund.